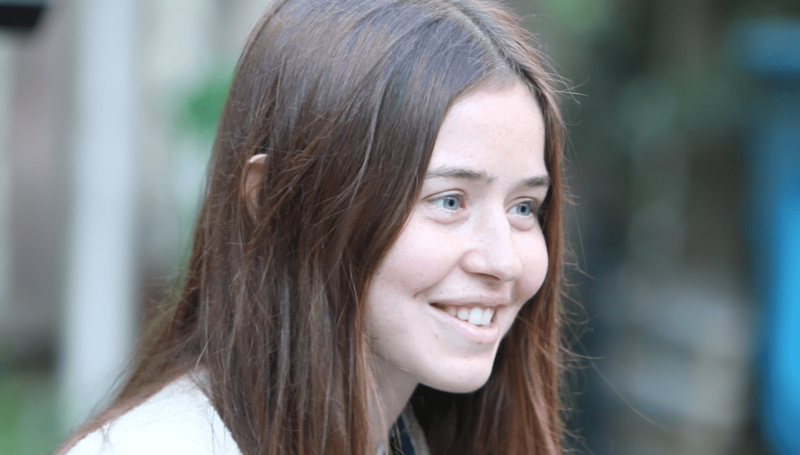 Flo Morrissey has been writing songs since she was 14 years old, which is impressive by itself, but she also did it as part of a family of nine children. As the second oldest, Morrissey balanced her responsibilities in helping out the family with her younger siblings, all the while pursuing her love of music. Morrissey hails from the Notting Hill section of London and grew up listening to the likes of Devendra Banhart, CocoRosie and Antony and the Johnsons. Using music as an outlet, Morrissey posted her music under the moniker 9mary on MySpace and even made her own music videos. Recently signed to Glassnote Records(Mumford & Sons, CHVRCHES, Phoenix), Flo Morrissey has made quite the impression with her lead single, “Pages of Gold” and is set to release her debut album, Tomorrow Will Be Beautiful on July 17, 2015. B-Sides On-Air host, Pete Mar spoke with Flo about her family life, how she found time to write music and also dispels rumors found on the internet.